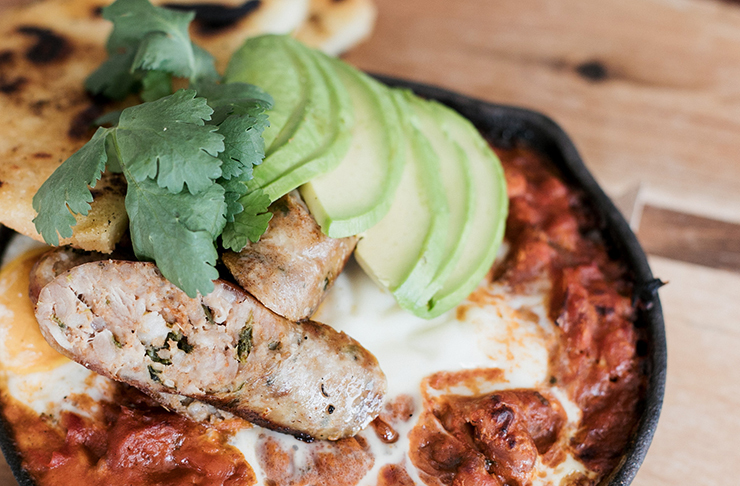 Enter La Finca, a brand spanking new joint that has come to answer all of our brunch related prayers. 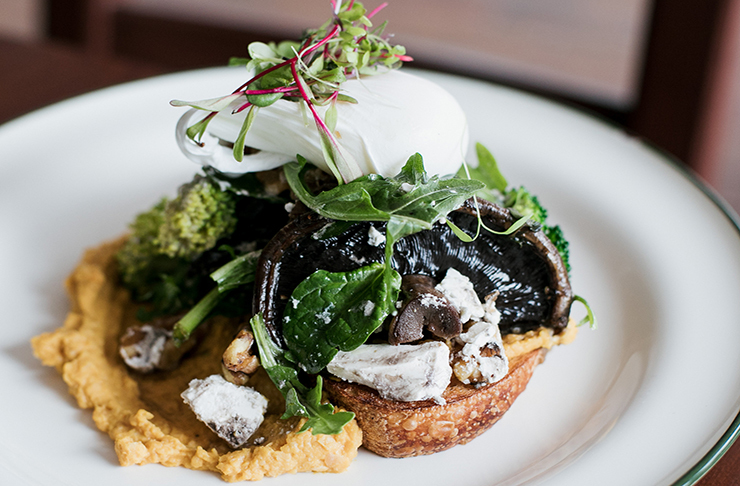 Tucked away like a hidden gem in Mooloolaba’s new The Wharf precinct, La Finca brings a whole lot more than just delicious food to the table. La Finca, which in Spanish means ‘The Farm’, is the latest passion project of Daniel Mejia, the genius behind the Colombian Coffee Co. on Brisbane Rd in Mooloolaba. Using only the best quality fair trade coffee sourced from Colombian farms, La Finca ensures that all the money from their coffees goes straight to the farmers and their families. In the corner of the cafe sits what looks like a large science experiment, which adds to the edgy industrial aesthetic of their fit out. The large machine is actually their coffee roaster, and it’s where La Finca roasts their ethically sourced Columbian coffee every week. And as for the taste? Expect a full bodied, smooth rich coffee that only gets more delicious with every sip. It’s a Colombian thing. Not only does La Finca brew a mean coffee, but they also whip up some amazing creations in the kitchen. Using local and seasonal ingredients, La Finca takes the classic breakfast and lunch options we all love and serves them up with an authentic Colombian twist. Think: roasted pumpkin hummus on sourdough, black bean chipotle chicken bowls and beef and blue cheese burgers. And if you’re not already drooling, there’s also authentic arepas (Colombian corn bread) served with pulled beef, chicken, feta, and spinach, or even a vegetarian option served with roasted sweet potato, pumpkin hummus and haloumi. For those looking for a more traditional breakfast with a little Colombian twist, try the Celentao, which is essentially a Colombian big breakfast. Think: pinto beans, rice, pulled beef, home-made chorizo, fried egg, relish, and avo all served on an arepa slathered in fresh ricotta. Yes please. 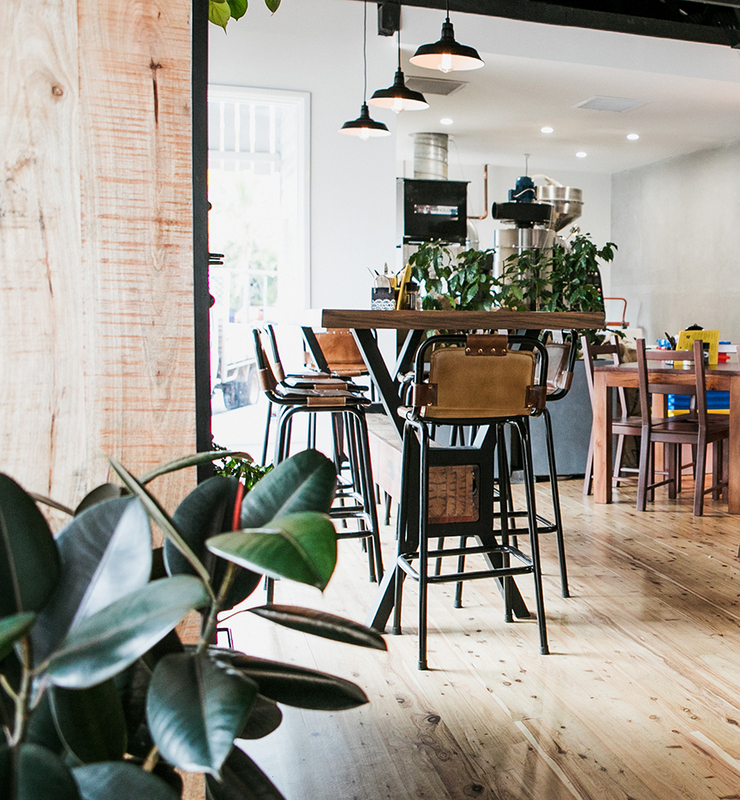 La Finca’s understated and effortlessly cool interior makes it the perfect post-beach coffee hang-out, with polished timber floors, dark wooden furniture, industrial roofing and arty tiling. The painted portrait on the wall (which is very ‘grammable by the way) is another striking feature, and adds to the South American vibe of the café. Although it’s only brand spanking new, La Finca is already receiving rave reviews from impressed locals. We know one thing for sure, Colombian coffee and cuisine has just moved to the very top of our must devour list and it’s all thanks to the folks over at La Finca. Thinking about delicious food now? What about checking out Juan Fifty here.